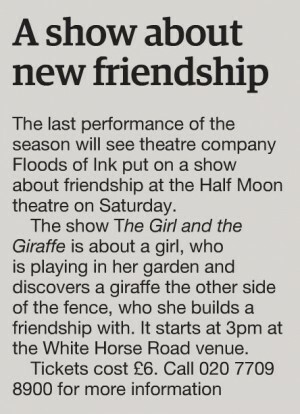 An uplifting show about friendship. 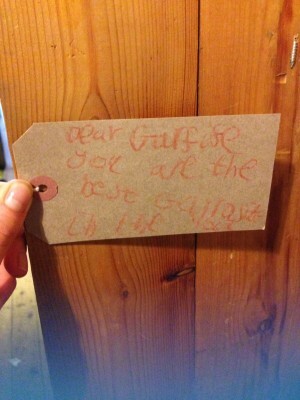 One day whilst Girl is playing in her garden, she spots something peculiar on the other side of the fence. 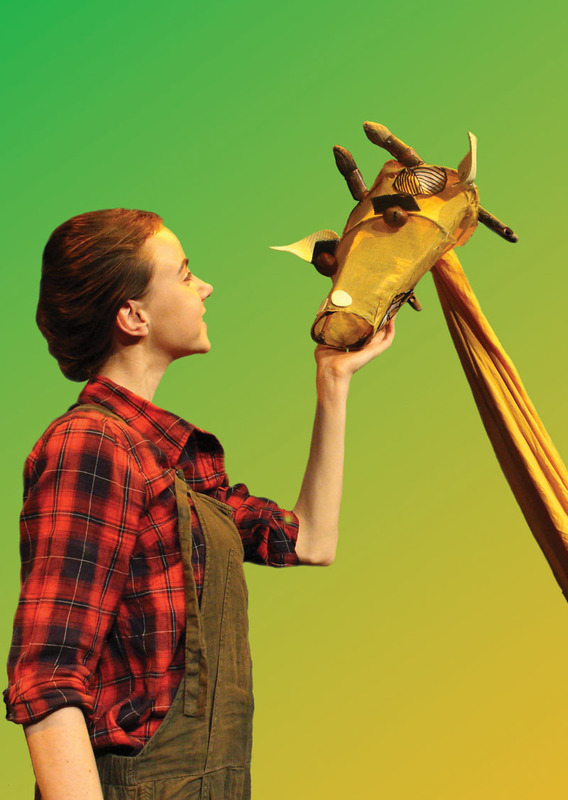 Climbing up as high as she can to get a better view, she is surprised when she comes face to face with…Giraffe! 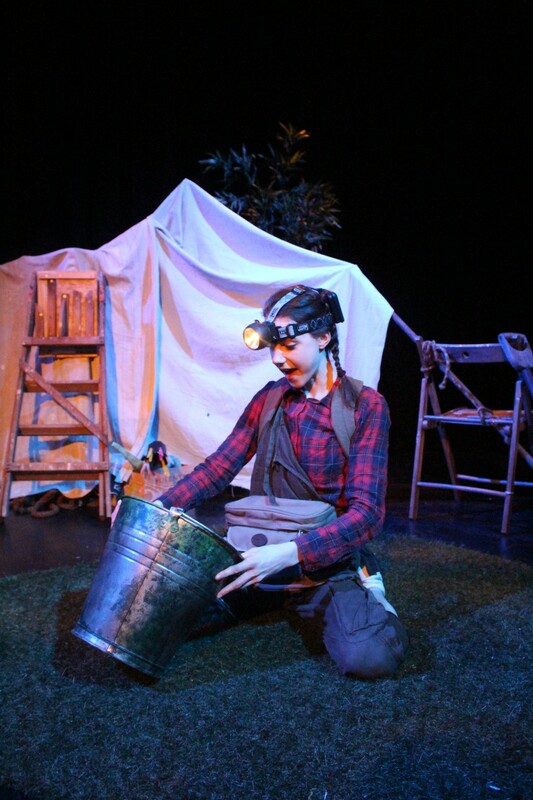 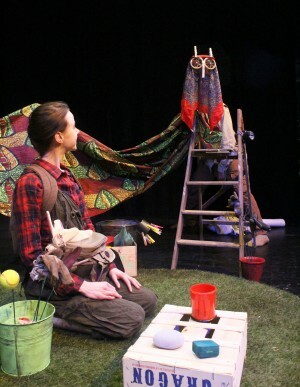 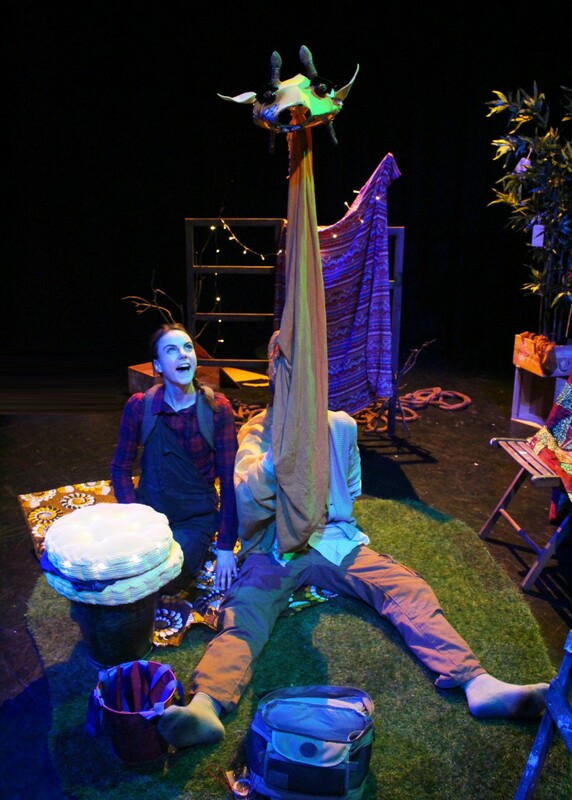 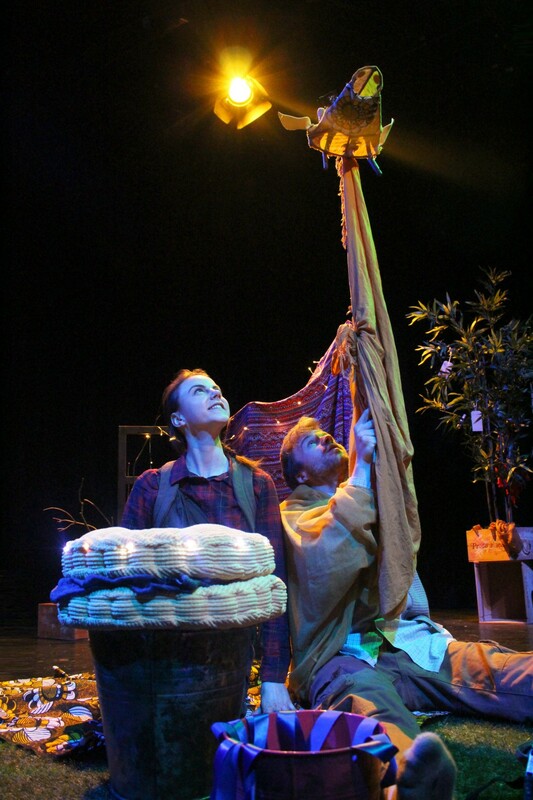 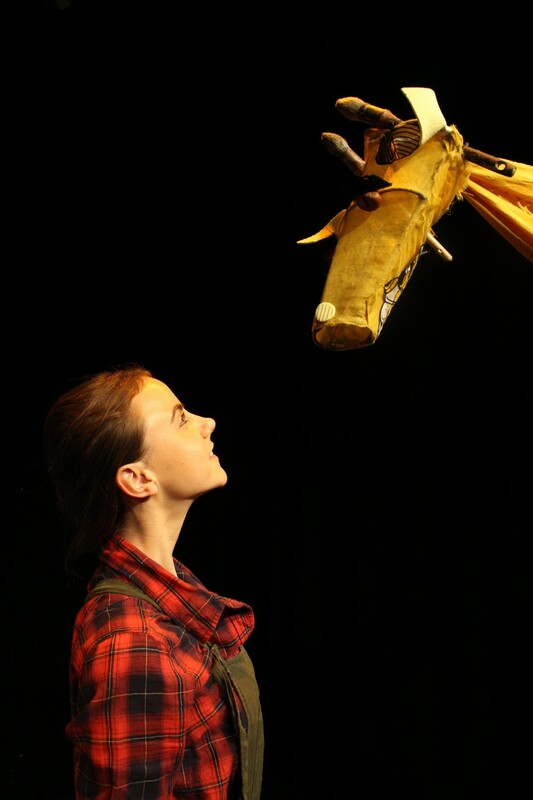 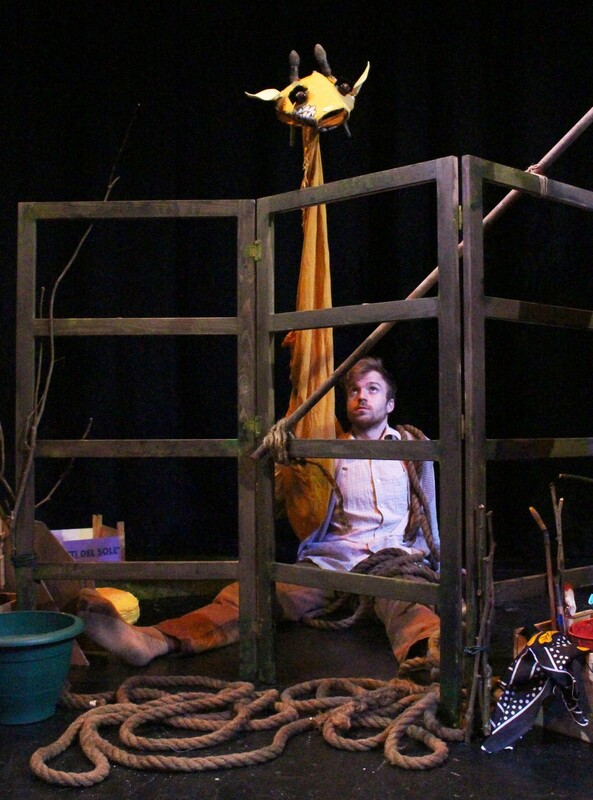 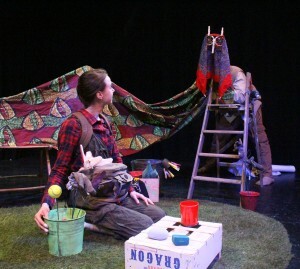 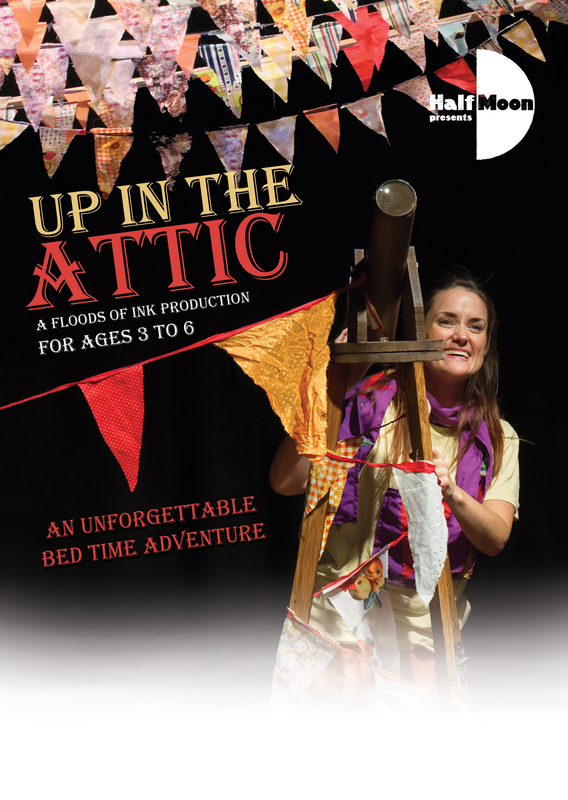 Charming puppetry, an enchanting soundscape and beautiful storytelling combine in this sensitive show about love and friendship, told from a child’s perspective. 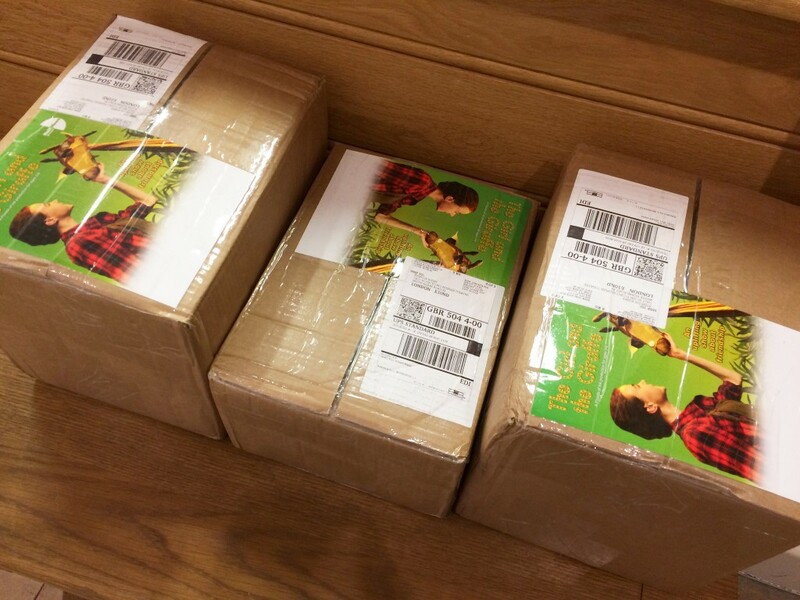 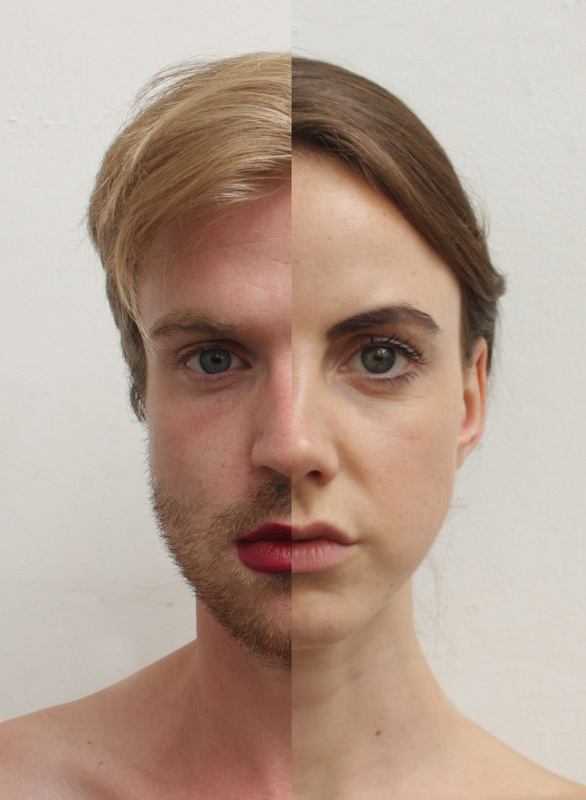 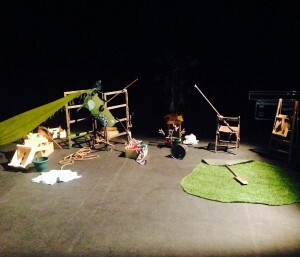 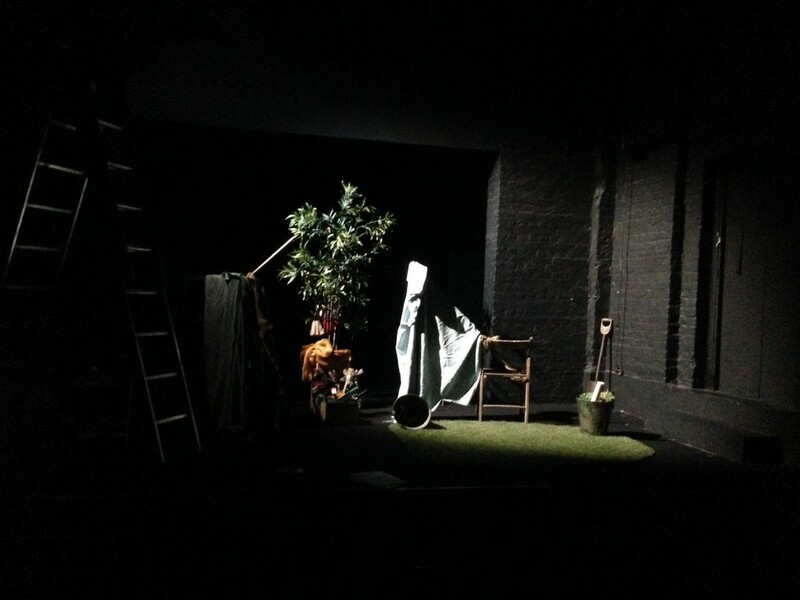 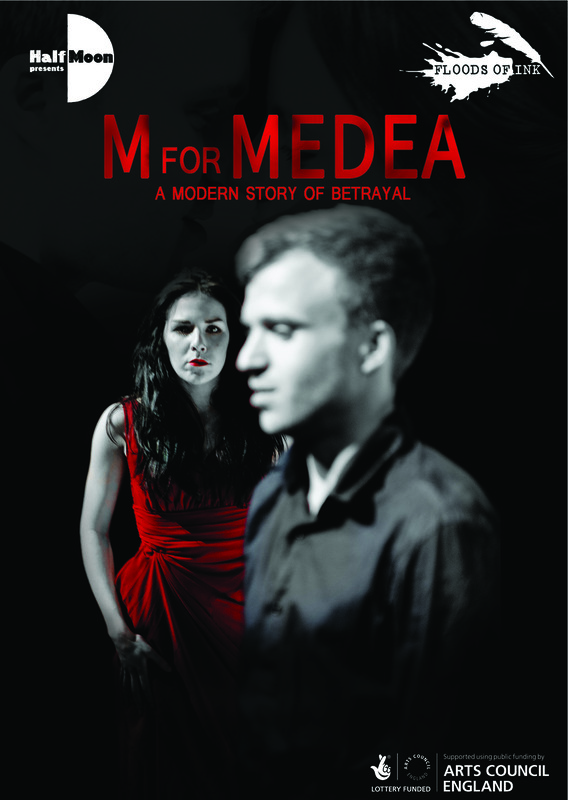 A Floods of Ink production toured nationally with Half Moon Presents between 2015 and 2017. 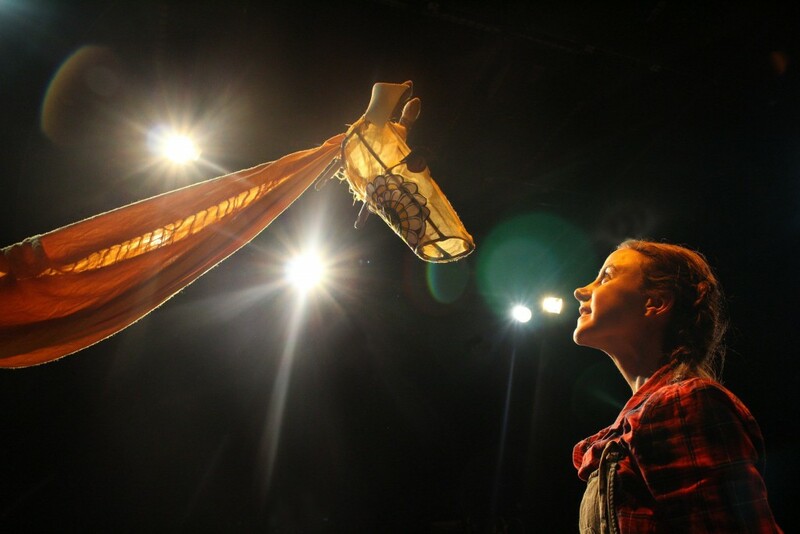 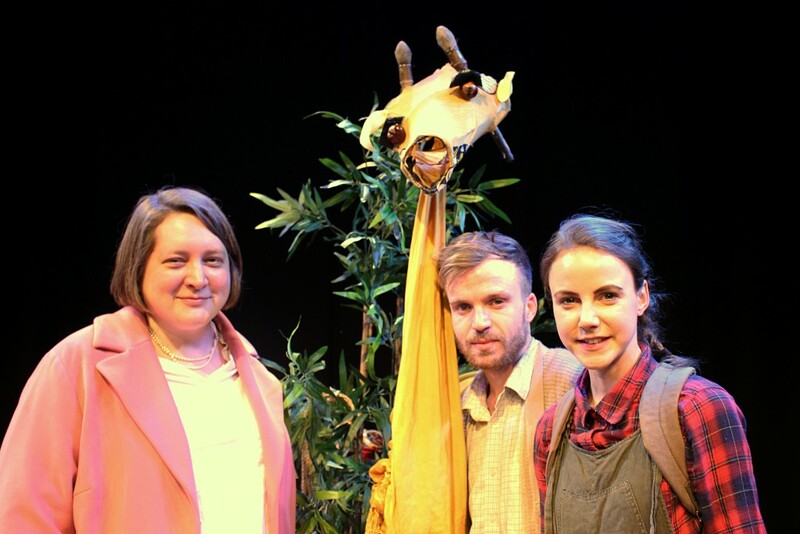 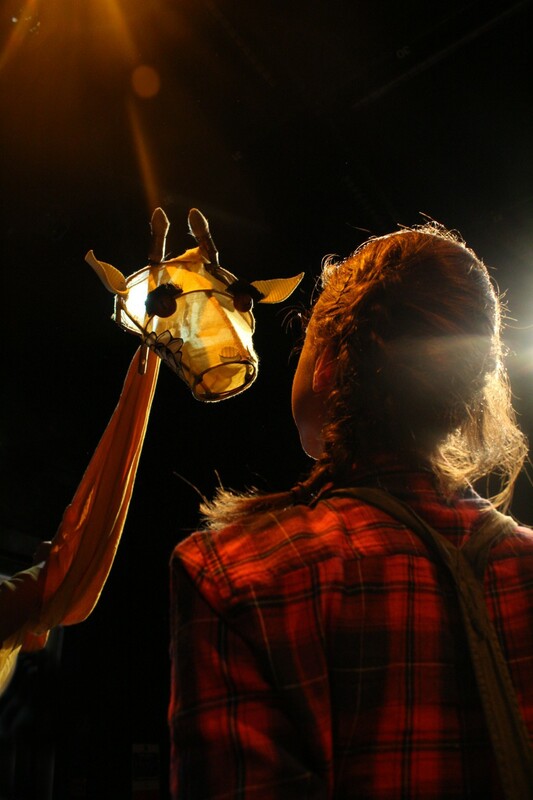 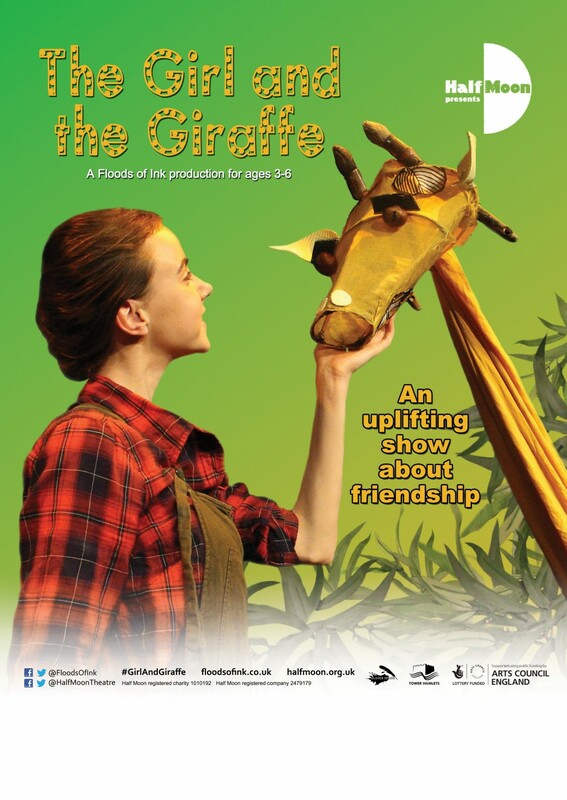 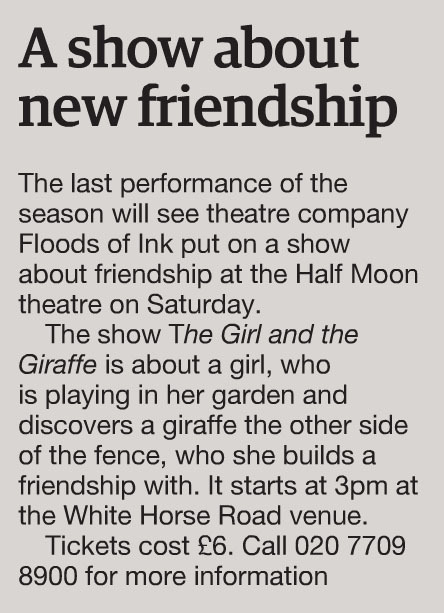 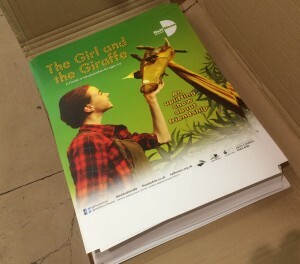 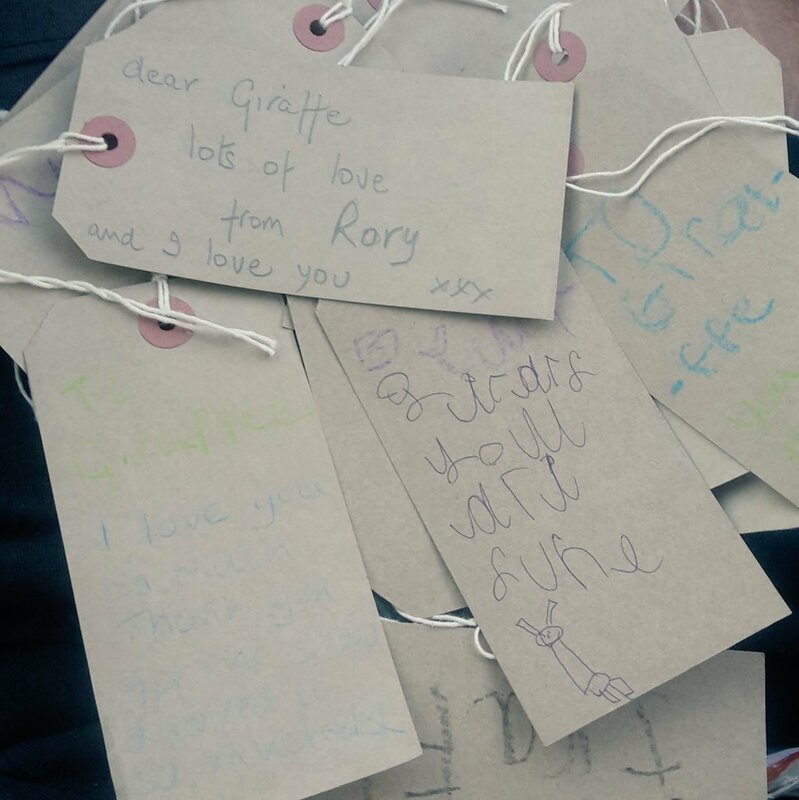 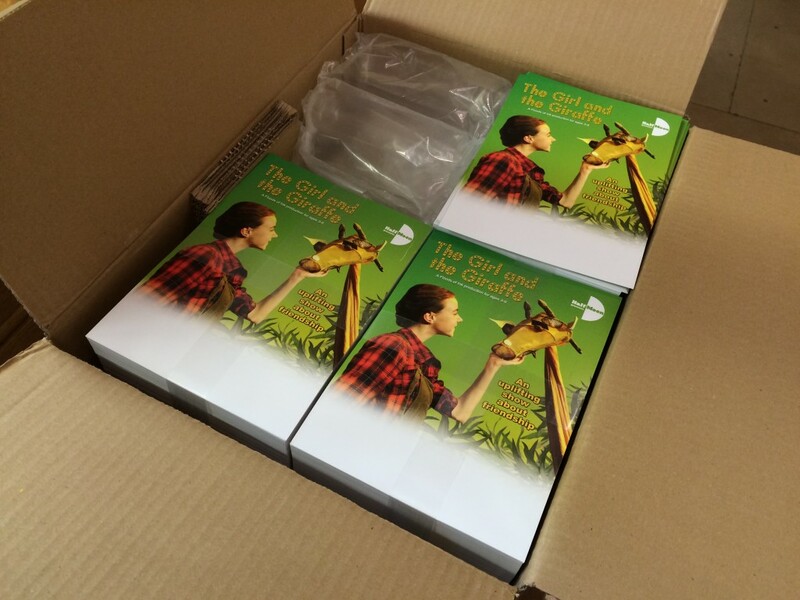 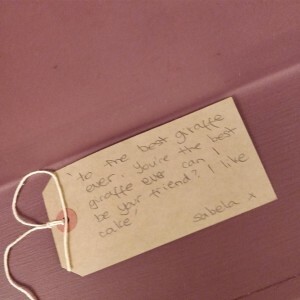 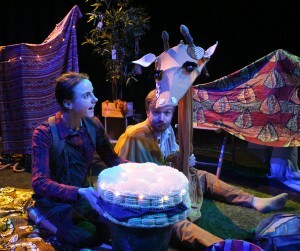 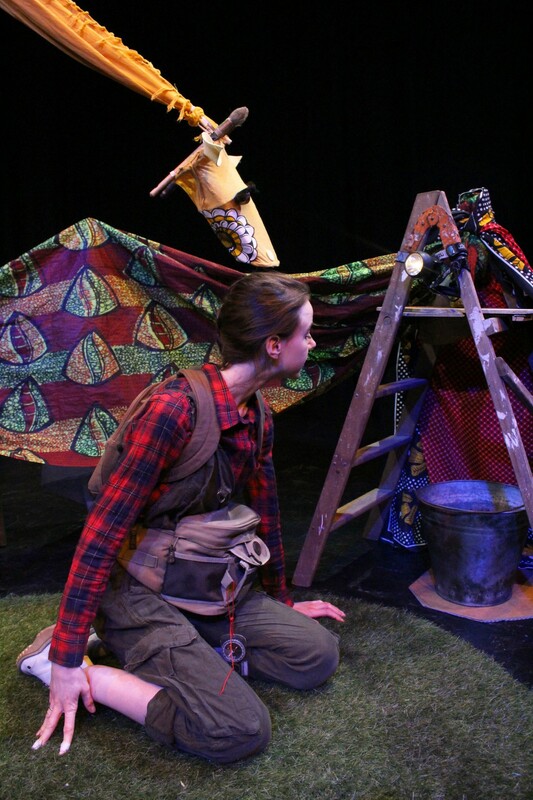 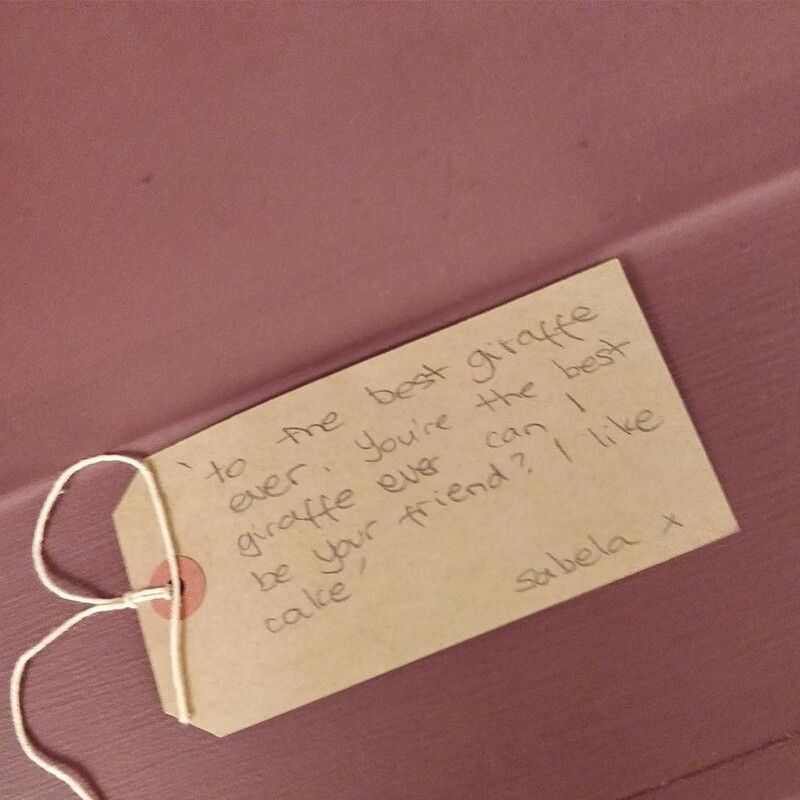 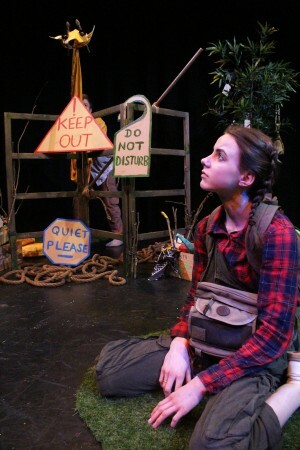 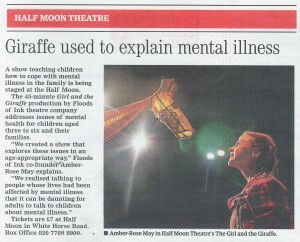 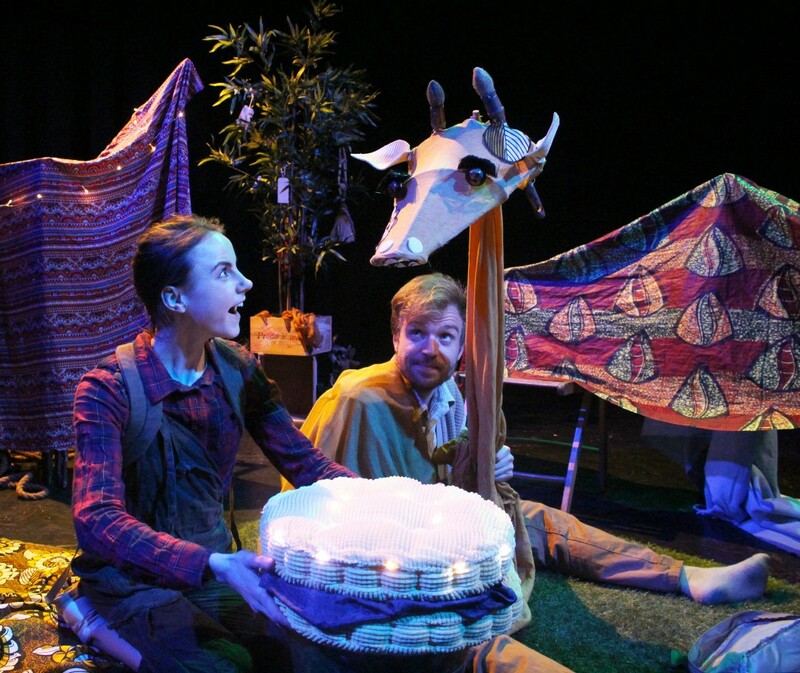 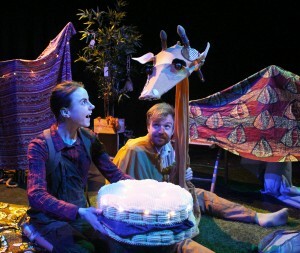 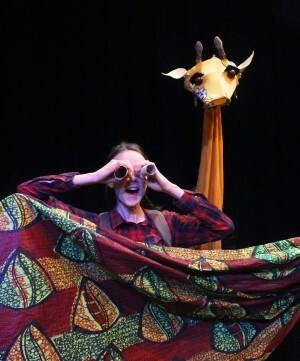 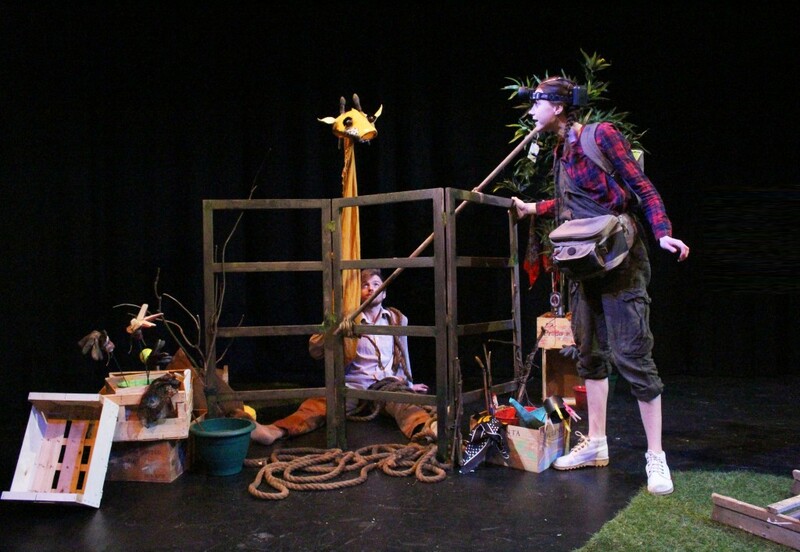 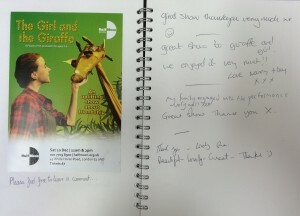 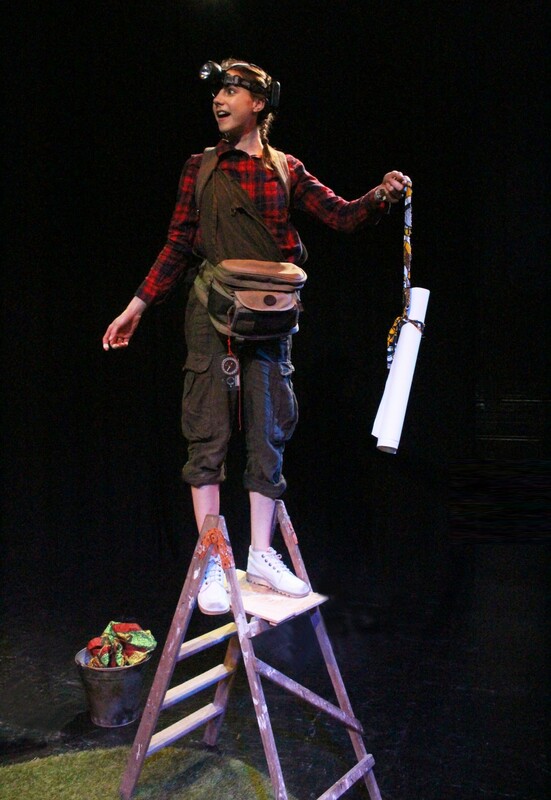 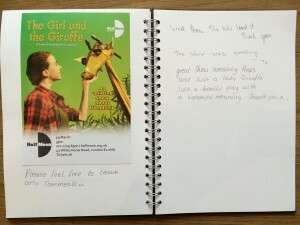 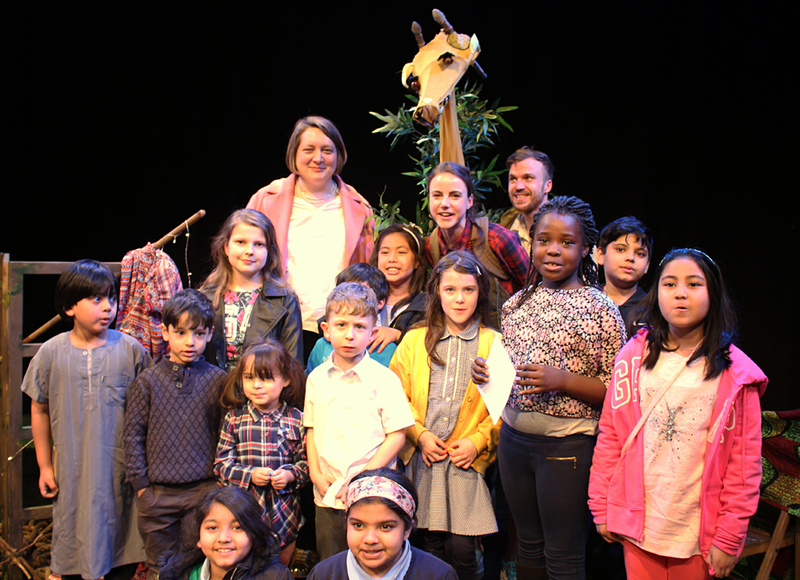 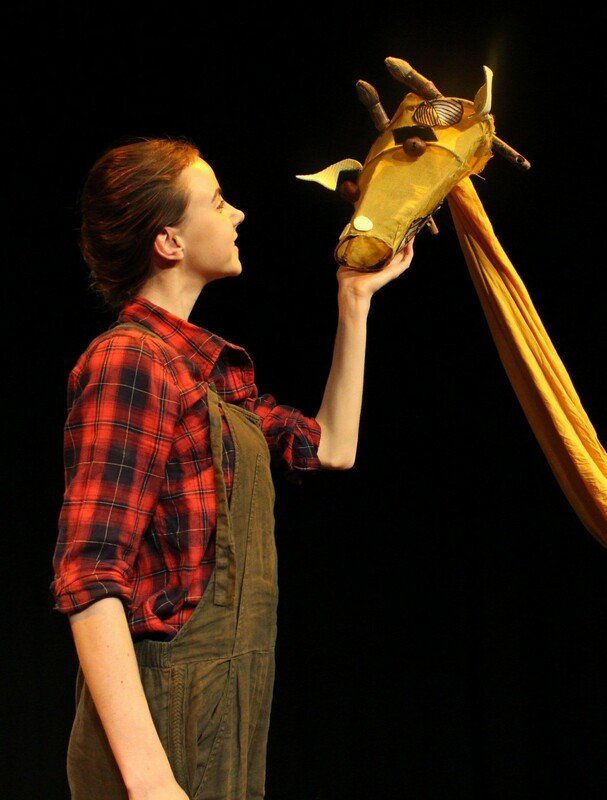 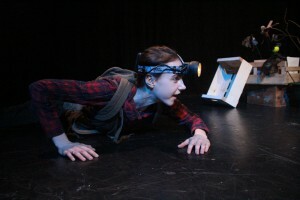 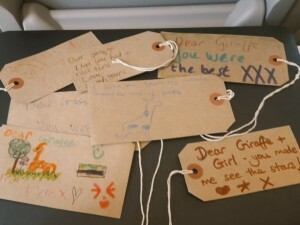 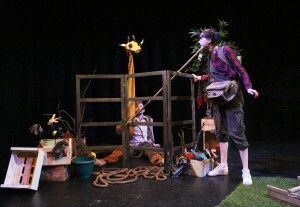 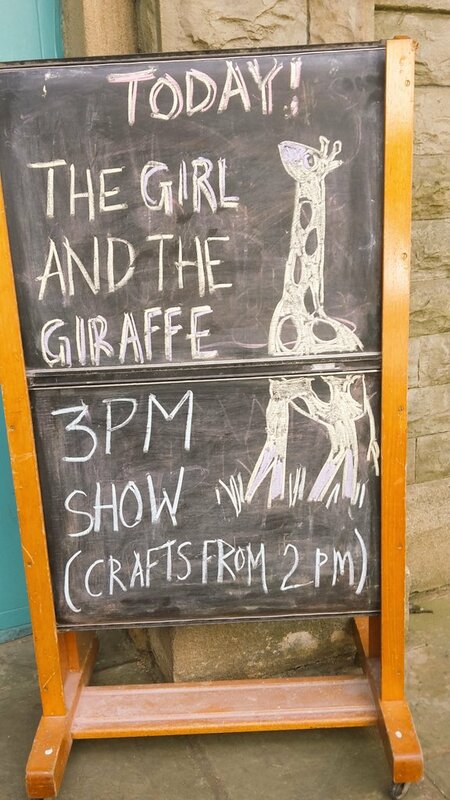 Actor Amber-Rose May plays the Girl in The Girl and the Giraffe, an uplifting show about wellbeing and friendship by Floods of Ink, a theatre company she co-founded with Laurence Alliston-Greiner, who plays Giraffe in the production. 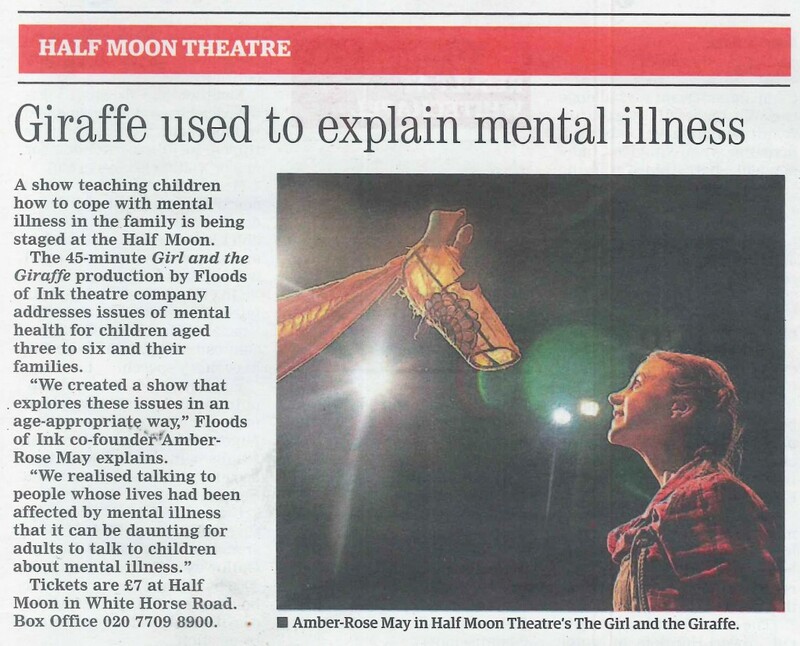 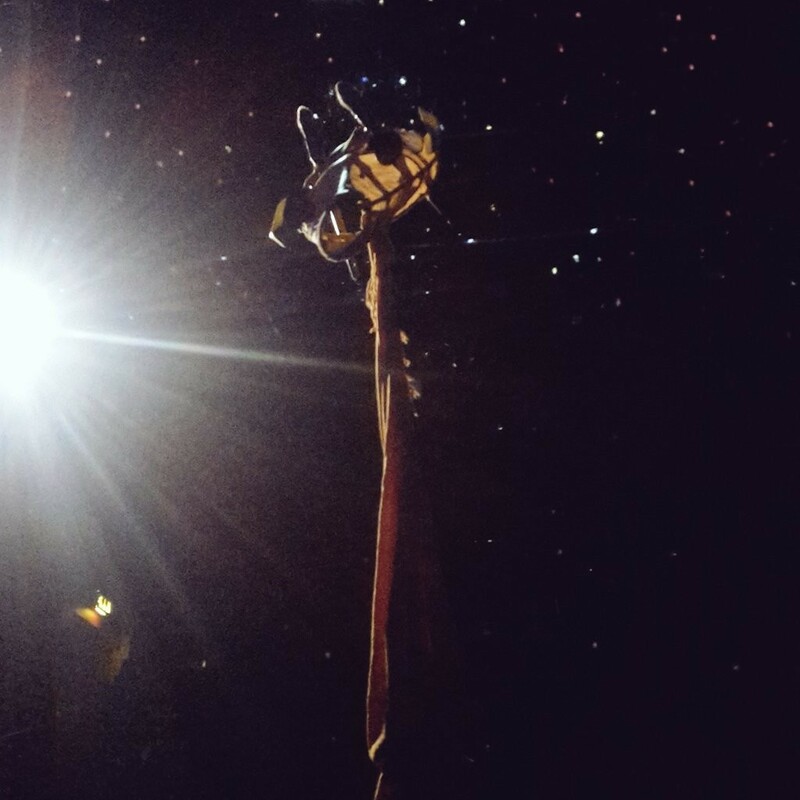 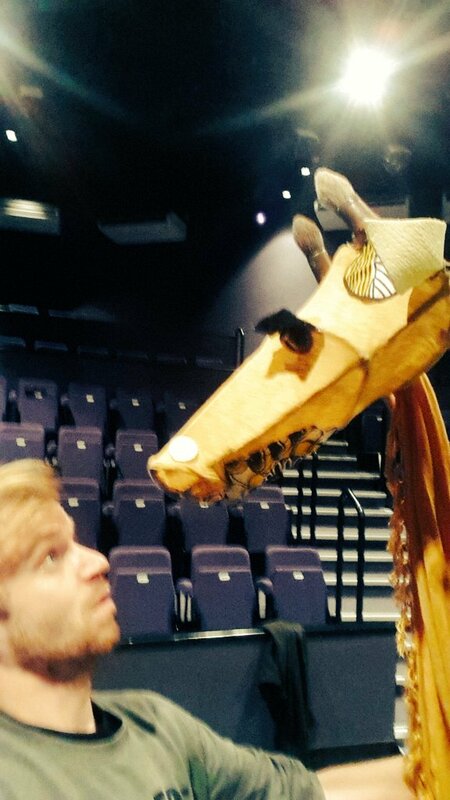 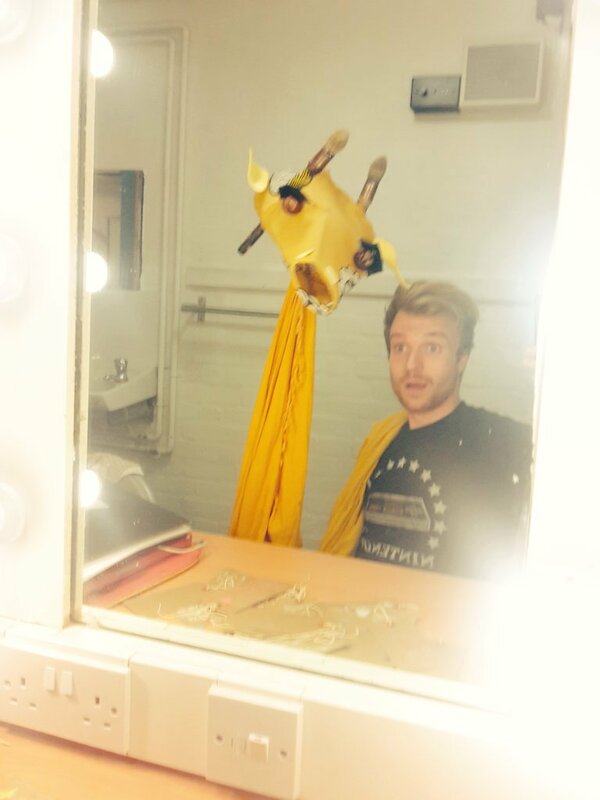 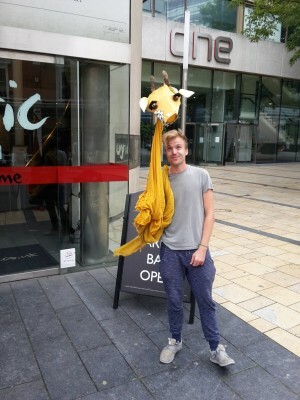 We caught up with Amber to find out more about the show, the challenges of creating a giraffe, and exploring issues of mental health onstage! 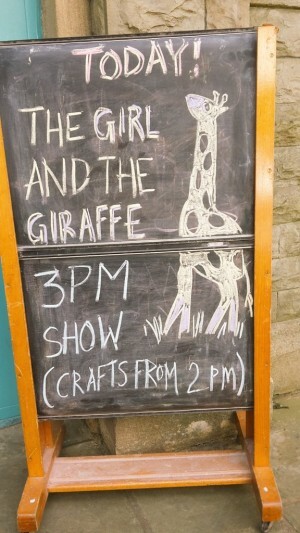 What is The Girl and the Giraffe about? 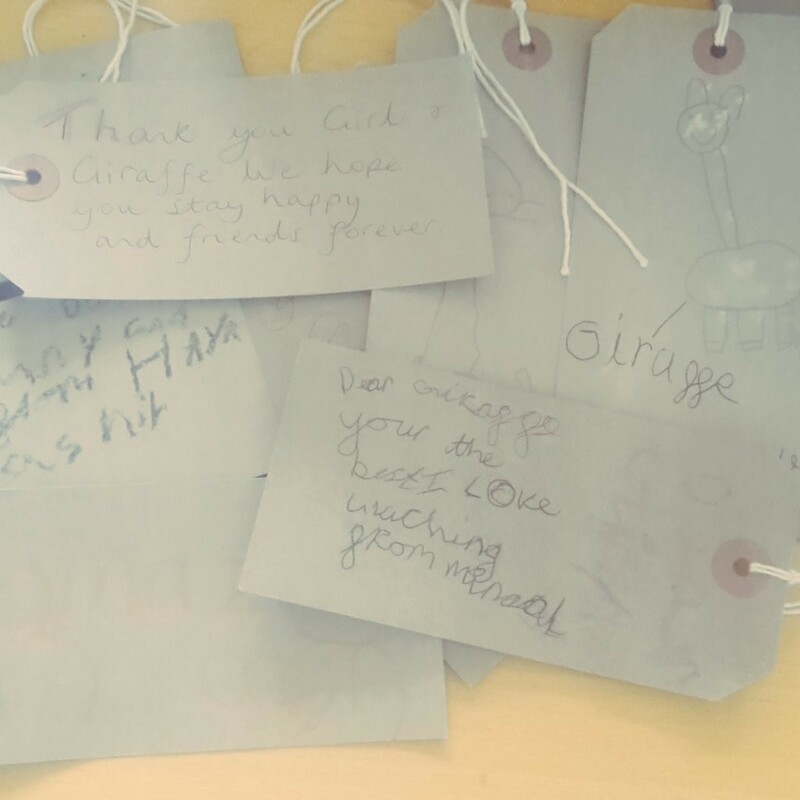 The Girl and The Giraffe is a story about making friends and learning to understand that sometimes people can be poorly in ways that aren’t always obvious, and it can be the little things in life that can make a big difference. We listened and shared personal stories with friends and family, and began talking to people whose lives had been affected by mental illness. 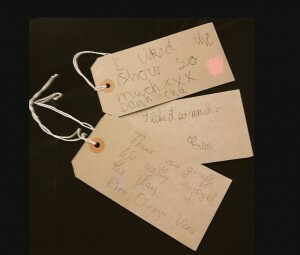 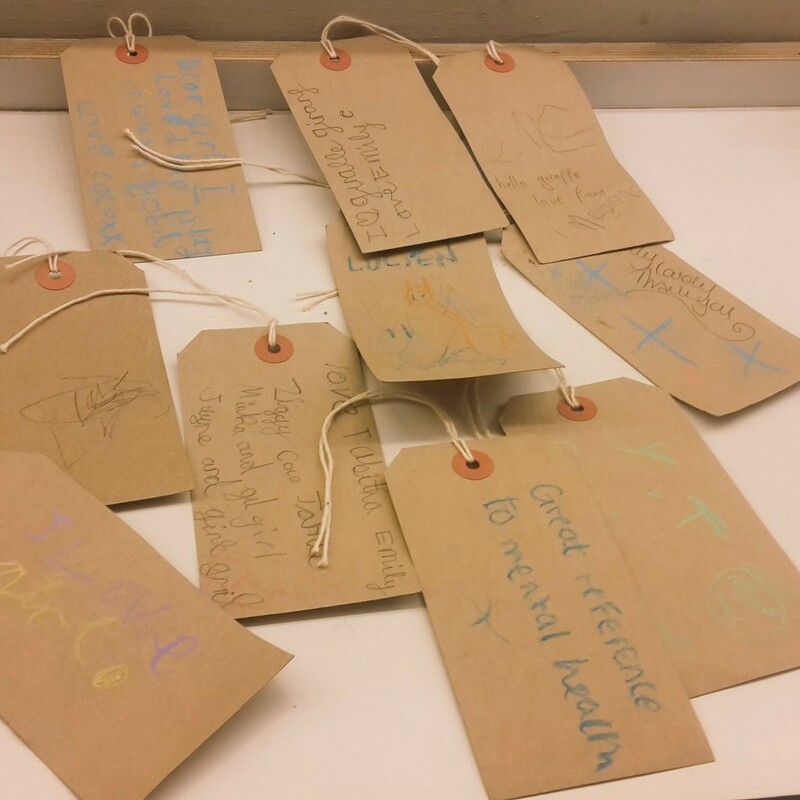 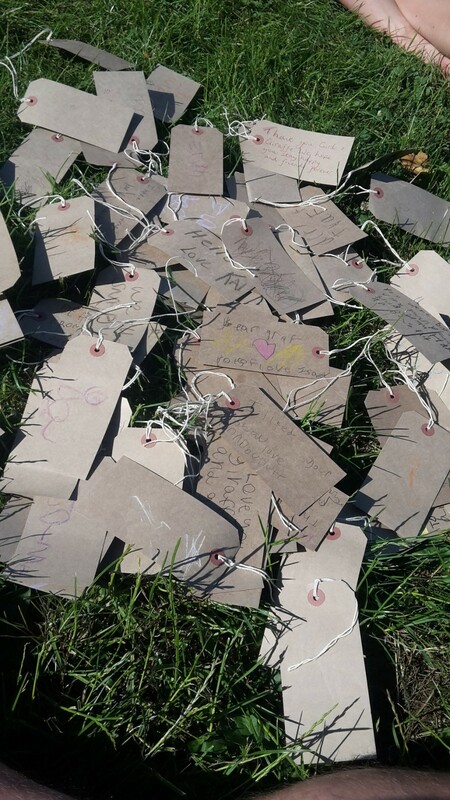 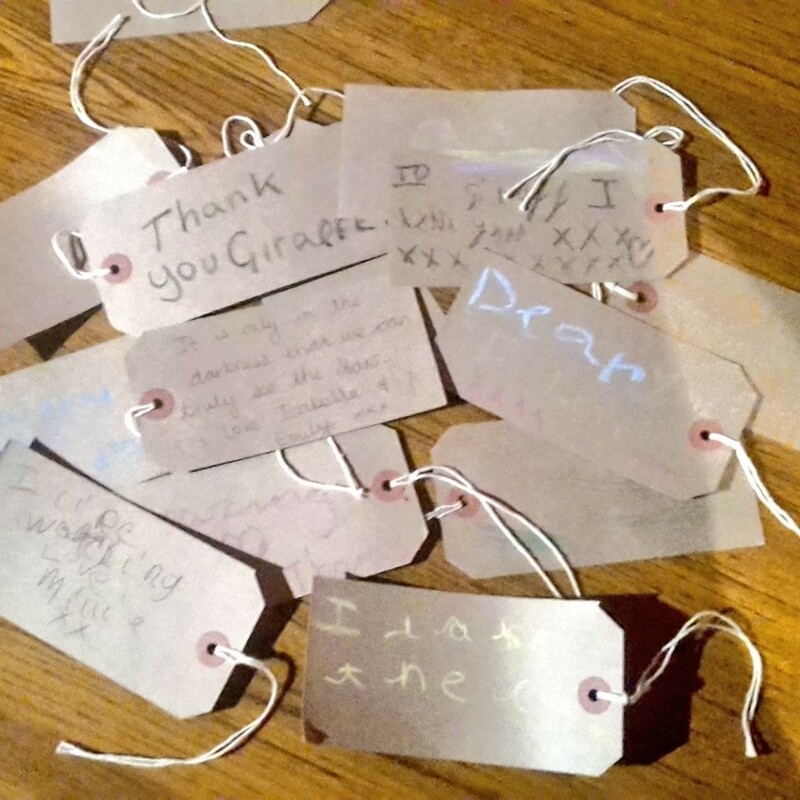 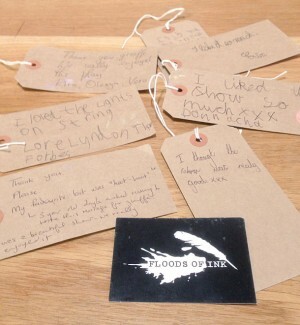 We realised that these things can be really daunting for adults to talk to children about, so we decided to create a show that, starts to explore these issues in a sensitive and age-appropriate way. 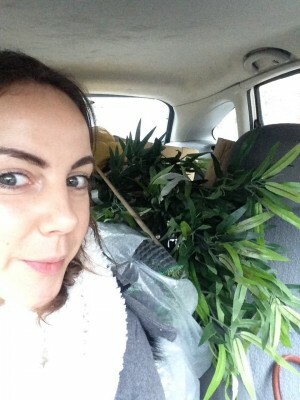 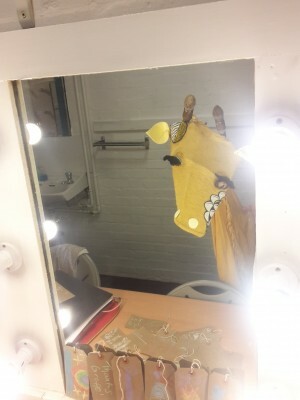 How did the piece come to fruition? 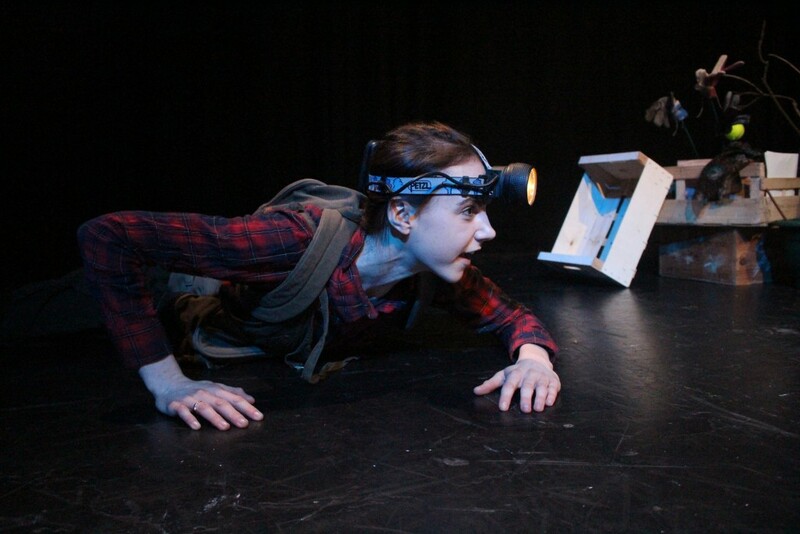 We started with our title, and a very rough outline of a story, and then spent time exploring different stories, sounds and imagery in rehearsal with our director, designer and composer. 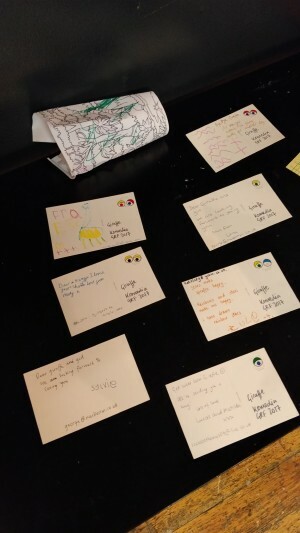 We brought in objects and different materials to play with and through improvisation, writing and drawing pictures (and a lot of creative brain power) we created our adventure together. 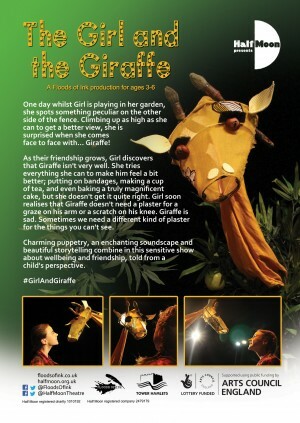 What would you say are the challenges of The Girl and the Giraffe? 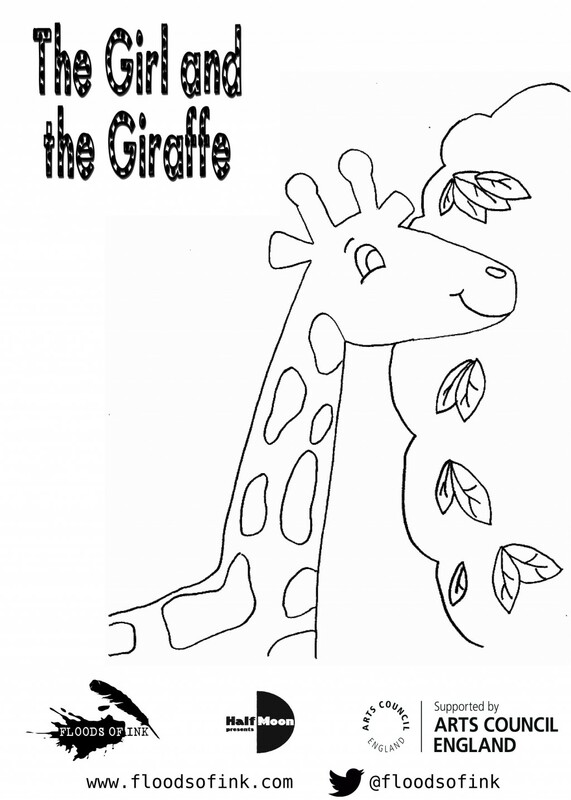 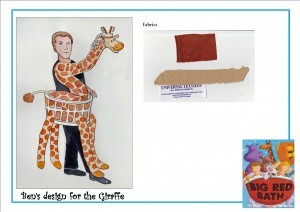 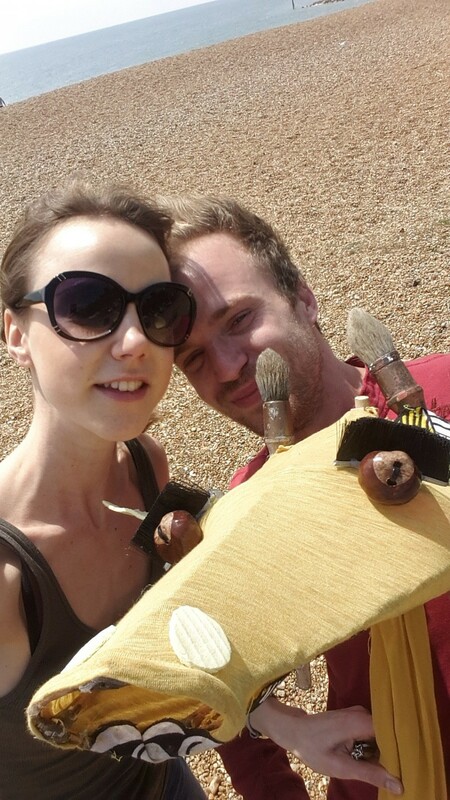 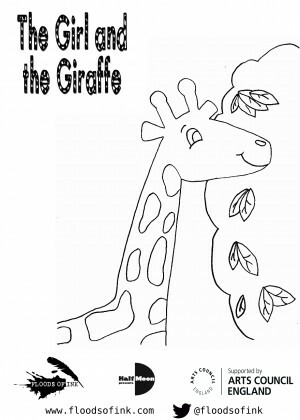 One of the biggest challenges was probably creating the Giraffe! 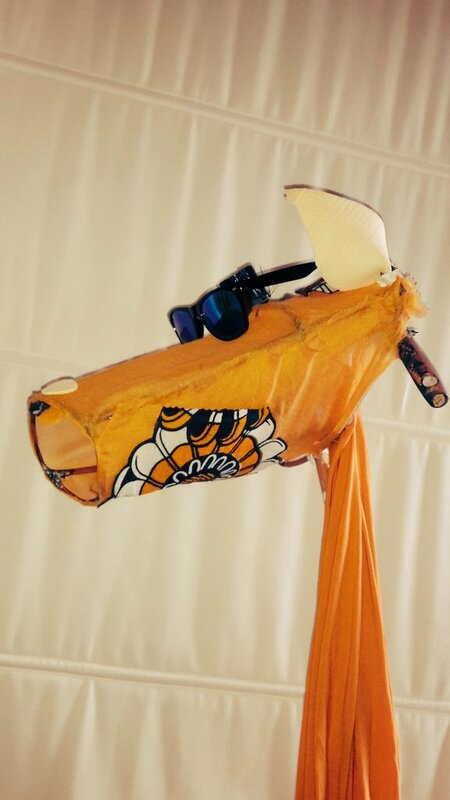 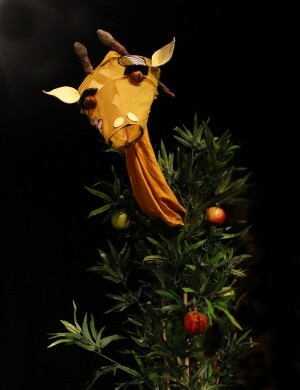 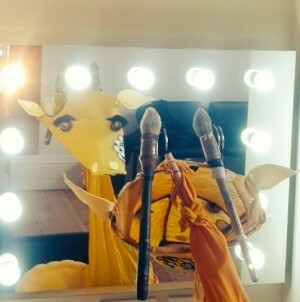 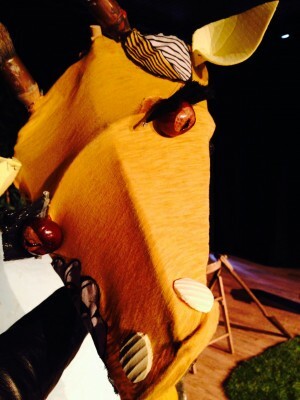 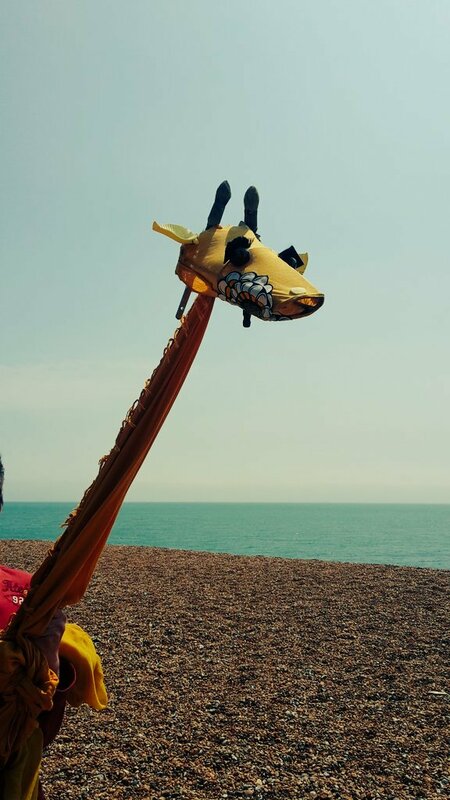 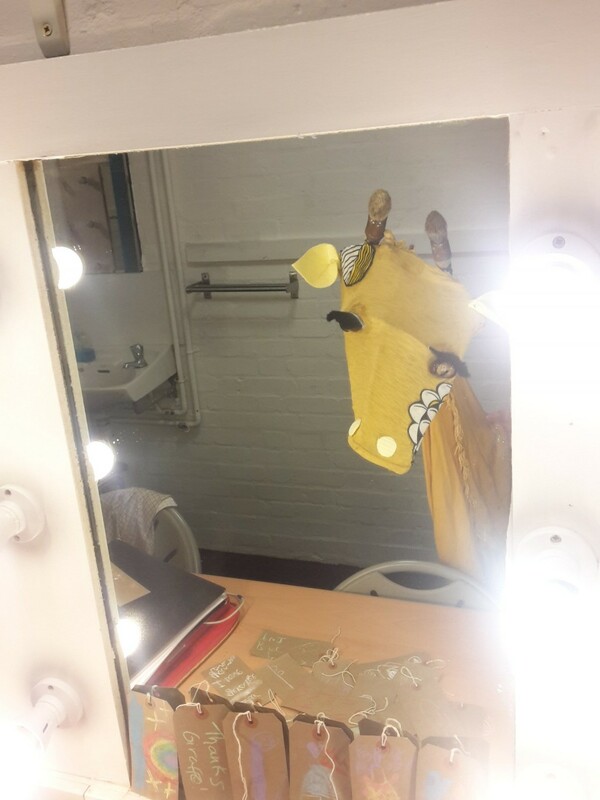 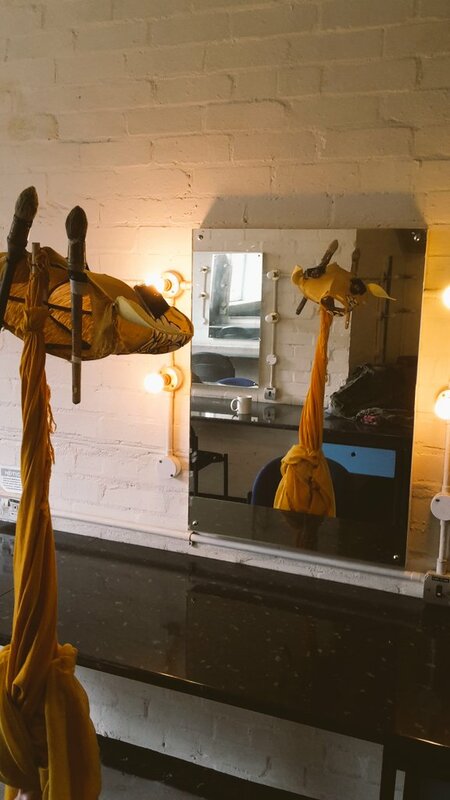 We experimented with lots of different necks, heads, hooves and ways to make to make Giraffe move, until we found one that spoke to us – what we created turned out to be somewhere in-between a costume, a mask and a puppet. 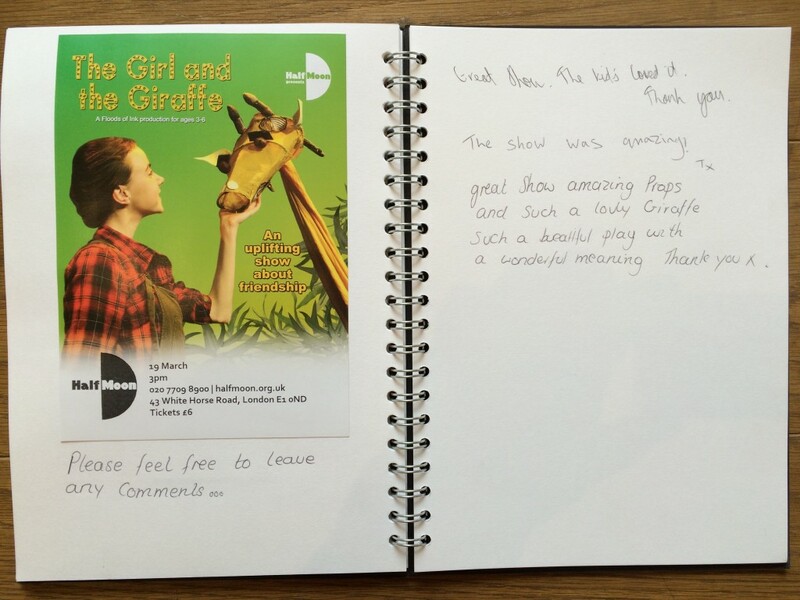 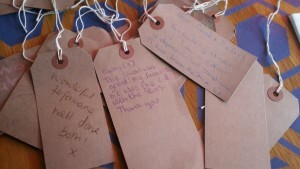 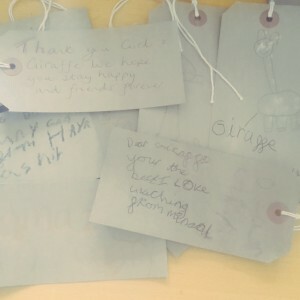 We would like audiences to feel that they too can make a difference. Mental health can be a difficult topic to address, and we would like audiences to know that sometimes we need a different kind of plaster for things we don’t see. 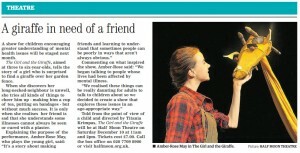 By talking to a friend, giving somebody a hug or sharing a smile, we can change lives for the better. 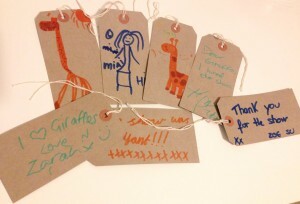 And finally, if you were an animal, what would you be? 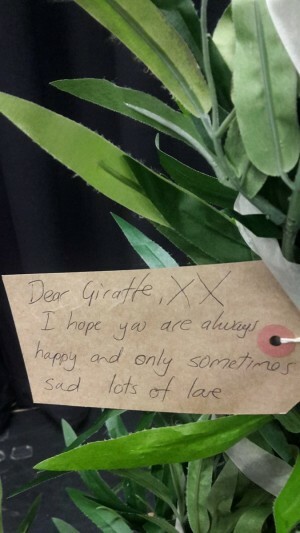 That’s really hard. I think I’d like to be a monkey and swing through the treetops!